Denton and Reddish MP, Andrew Gwynne, has offered his support to the “stop, speak, support” campaign, as part of anti-bullying week which is running this week 12-16 November. Anti bullying Week 2018 is being held between the 12th and 16th November and is organised by Anti-Bullying Alliance – this year the theme is ‘Choose Respect‘. Following a consultation with over 800 children, teachers and members of the Anti-Bullying Alliance, it emerged that a top priority was showing that bullying is a behaviour choice, and that children and young people can set a positive example by opting to respect each other at school, in their homes and communities, and online. Bullying (both online and face to face) remains a significant issue for children and young people today. We know that one in 3 pupils experience bullying each year and one child in every class will experience bullying on a weekly basis. 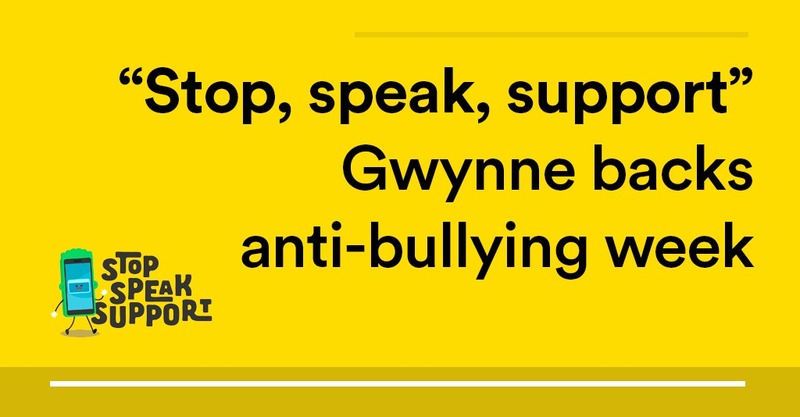 Anti-Bullying Week provides an opportunity to shine a spotlight on this issue in school, online, in the media and in the community. Cyber bullying is any form of bullying which takes place online or through smartphones and tablets. Cyber bullying is rife on the internet and most young people will experience it or see it at some time. In our recent national bullying survey, 56% of young people said they have seen others be bullied online and 42% have felt unsafe online. Cyber bullying can happen 24 hours a day, 7 days a week and it can go viral very fast. “This year I’m backing anti bullying week and their ‘choose respect’ campaign.